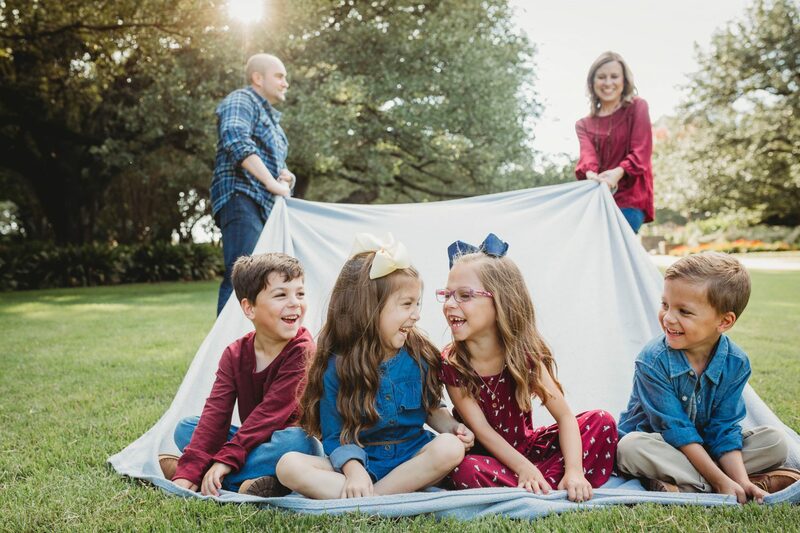 With quadruplets, we have probably more stuffy noses than the average household. Sydney seems to think her finger is the best booger removal tool, but I disagree. When the babies were still in the NICU they had shockingly enormous boogers. I was baffled at how such tiny noses could produce such disgusting stuff. The NICU boasts a nifty device called the neo-suction where a tube is gently inserted into the baby’s nose and a powerful suction pulls the boogies loose (it’s similar to the suction used by dentists). George was so enamored with the hospital grade neo-suction he searched high and low for a home version of it. Because neo-suction is incredibly powerful, it’s not considered safe for home use without a prescription. No luck for George. Instead he found human-powered nasal aspirators online. 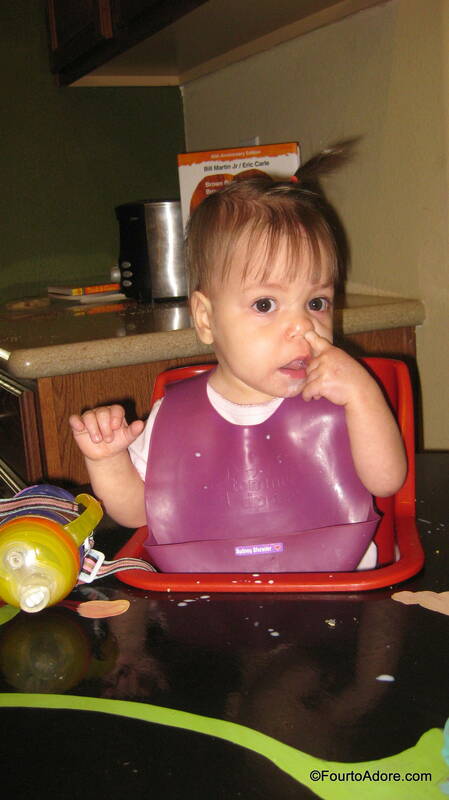 Being a rookie mom I was totally disgusted with the notion of using my mouth to clear out the babies’ noses. I was convinced I’d get a mouthful of yuck, which was not appealing. 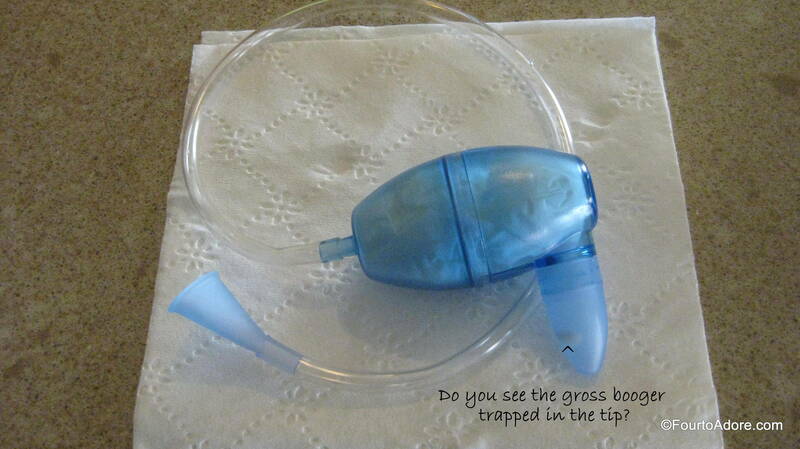 I scoffed at them and settled for the standard issue blue bulb nasal aspirator. Just like most new parents, we dutifully used our blue bulb aspirator along with saline drops to clean out the little noses. After a few weeks, our precious bulbs lost suction and were disgusting, but nearly impossible to clean. When the babies were a few months old, a triplet mama friend told me how much she loved her electronic nasal aspirators so we invested in a couple of them. They worked reasonably well, and were easy to clean. However, they ran through batteries, their parts wore out, and lost suction in time. Over the past 15 months we’ve had our share of stuffy noses and various methods for helping clear them. I even whipped up my own nose wipes because the quad’s noses were getting raw and irritated with frequent tissue wiping. It wasn’t until recently that the quad’s noses were truly blown. BabyComfyNose sent us their nasal aspirator to sample, and I was completely satisfied with the results. The challenge is getting a toddler to sit still for the procedure. I’ve found that our crew is a mixed bag. Harper is perfectly content with it and Rylin scampers off if she sees us coming at her with anything that may involve keeping her still. 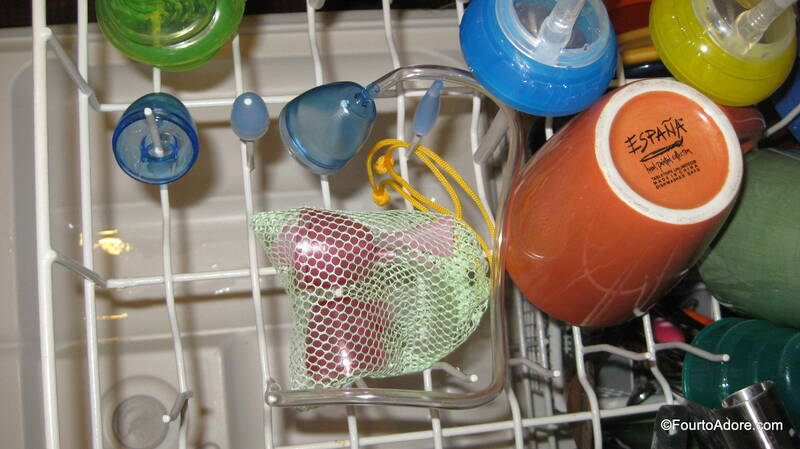 I put the BabyComfyNose aspirators in our dishwasher two ways: one in the bag with parts disconnected and one with parts outside the bag. Either way seems to work. I also think our bottle sterilizer would get the job done. BabyComfyNose Nasal Aspirator is my new go-to snot sucker. However, I can’t toss the less preferred versions out just yet. I’m hanging onto them for when the quads are left with babysitters since we can’t share the Baby Comfy Nose. Rylin was not pleased when I used the Baby Comfy Nose aspirator on her, but it worked very well once I wrangled her. 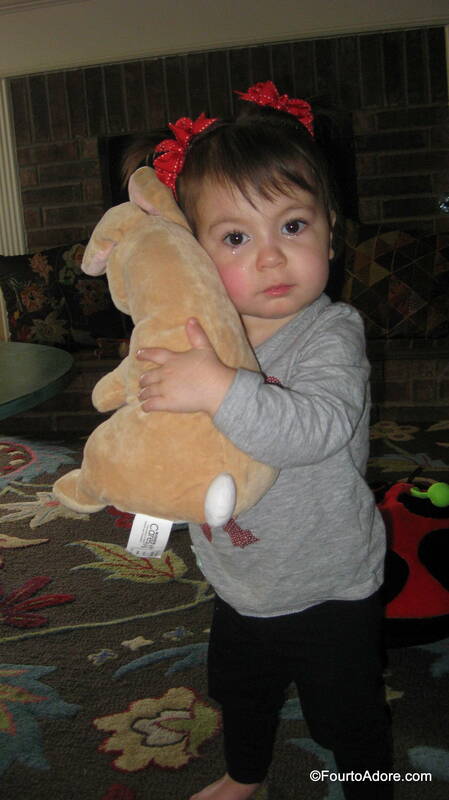 Bunny did a fantastic job of consoling one unhappy toddler. What do you think about human-powered nasal aspirators? 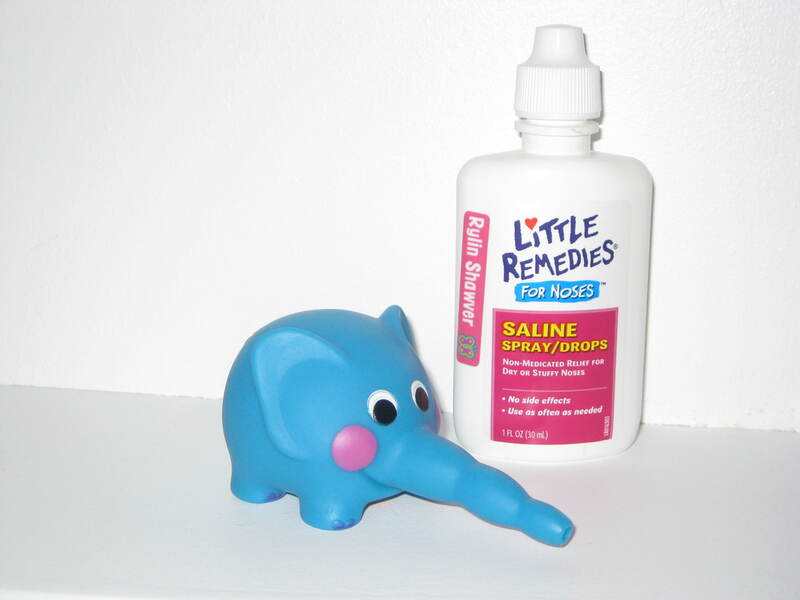 Would you try one to help your little one breathe easier? P.S. I’d like to extend a special thank you to BabyComfyNose for providing us with their nasal aspirators to sample. I received no other compensation and all thoughts/ opinions are 100% my own. Since there are only three colors, couldn’t you take a Sharpie or nail polish and make a large mark or put names/initials on them? Obviously on the part that doesn’t go in your mouth or their nose… Or maybe find a similar sized mesh bag in a different color to keep one in that has a match? Oh sure, we can (and) will end up labeling one that is in the same color. We even have nifty dishwasher safe name labels for each kid. 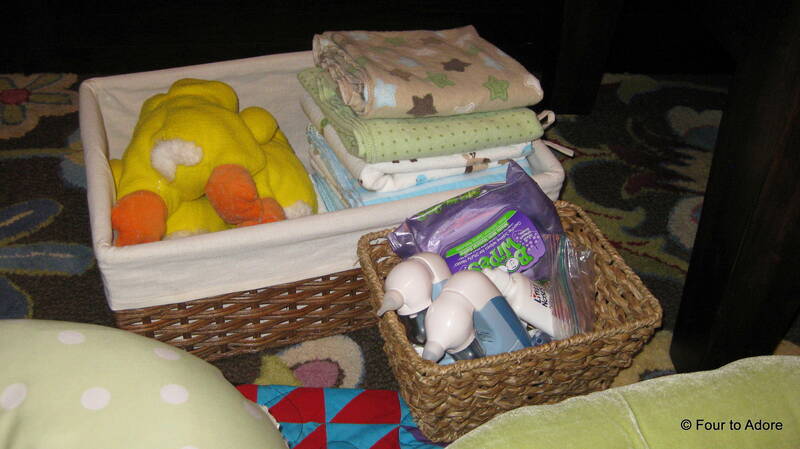 I do love color coded stuff though, and baby comfy nose uses their colors as a selling feature for multiples. Finding another mesh bag is a really good idea too, will see if I can find one. That would ear mark it better than a label. Thanks for the tip! You are too funny! You’re right, washing should sanitize them. I think it’s mostly for instances where everyone isn’t sick and you’re trying to keep germs from spreading. Plus it’s a little gross if you think about it- like sharing a toothbrush or undies. Lol!